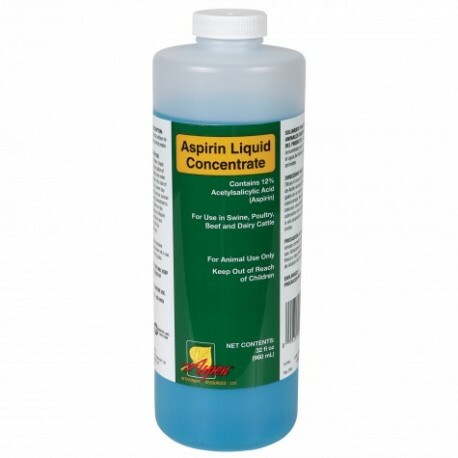 Aspirin liquid concentrate is used for swine, poultry, beef and dairy cattle. Contains 12% aspirin. A concentrated solution for use in drinking water. ORMD product, must ship UPS Ground. 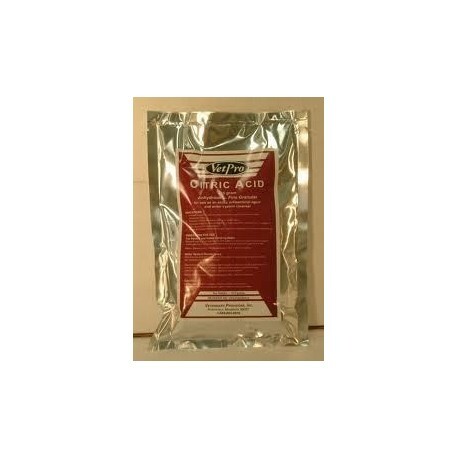 Alltech - A water soluble containing organic acidifiers, electrolytes, enzymes, and a supplemental source of live, naturally occuring micro-organisims. Works for starting weaned pigs, poultry, and calves. Mix .5 lb. to 128 gallons of drinking water. Follow label instructions. 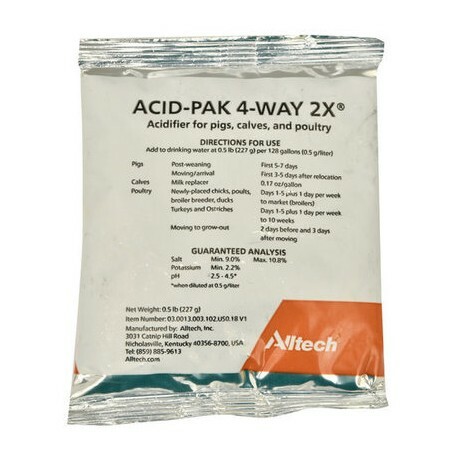 Packaging may vary, but same Alltech product. 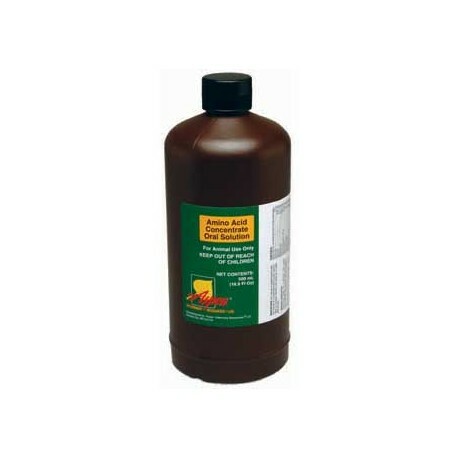 Amino Acid Oral Solution by Aspen Vet is for use as a nutritional supplement of vitamins, amino acids and electrolytes for cattle, swine, sheep and horses. 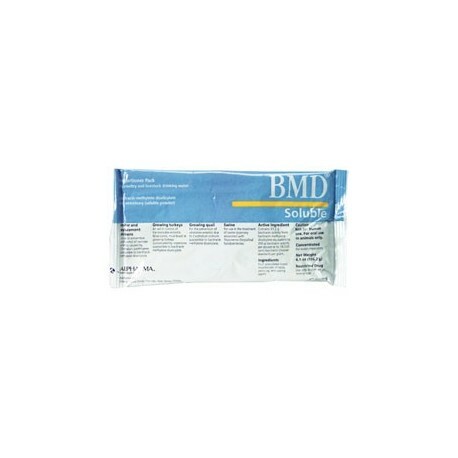 A supportive treatment of dehydration resulting from prolonged fevers, transportation shrink, pneumonia and diarrhea. A readily available energy source. Brands may vary. 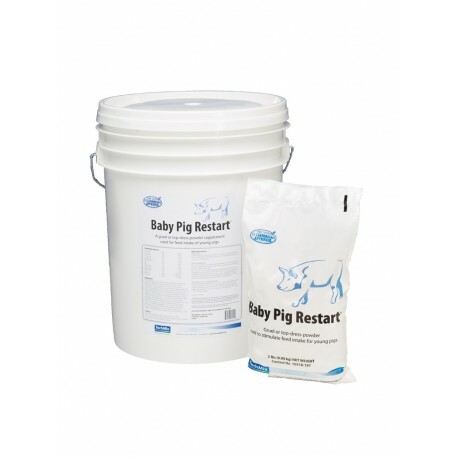 The sweet taste of Baby Pig Restart draws pigs in transition to dry feed, ensuring that each piglet gets the additional nutrients and energy needed to help avoid starve outs and stunting. For young pigs, Baby Pig Restart provides plasma which is a functional protein that helps support the intestine. Alpharma - Aids in prevention and control of necrotic enteritis caused by Cl. perfringens susceptible to bacitracin methylene disalicylate (bacitracin M.D.) in broiler chickens. 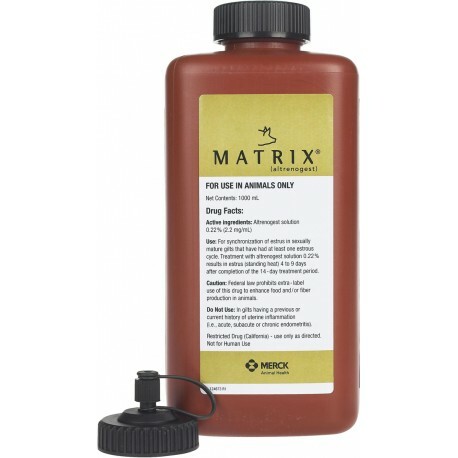 Matrix (Swine Only) from Merck/Intervet is for synchronization of estrus in sexually mature gilts that have had at least one estrous cycle. Treatment with altrenogest solution 0.22% results in estrus (standing heat) 4 to 9 days after completion of the 14-day treatment period. Altrenogest solution 0.22% (2.2 mg/mL). 1000ml. 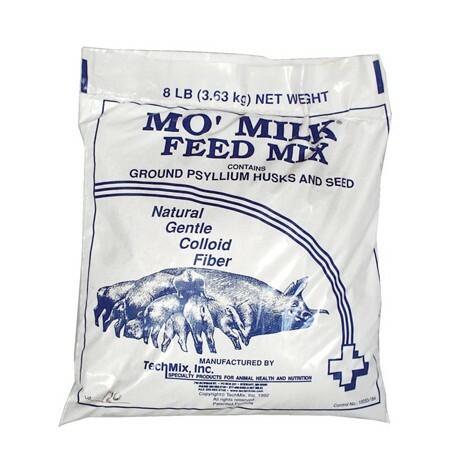 Mo' Milk Feed Mix is a palatable, high-energy natural laxative that utilizes the natural laxative action of psyllium to produce a softer stool and help reduce constipation. By using Mo' Milk Feed Mix, it can help to improve feed intake, digestion, and feed utilization - all of which are essential to help a sow or gilt to achieve maximum milk production. 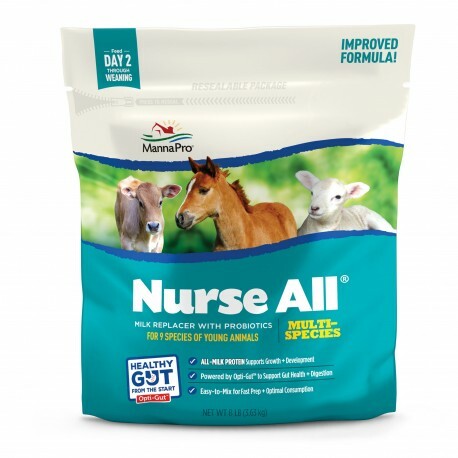 NEW Mana Pro - the ultimate in multi-species application, labeled for 11 species of farm animals and pets. A source of live viable naturally occuring microorganisms. 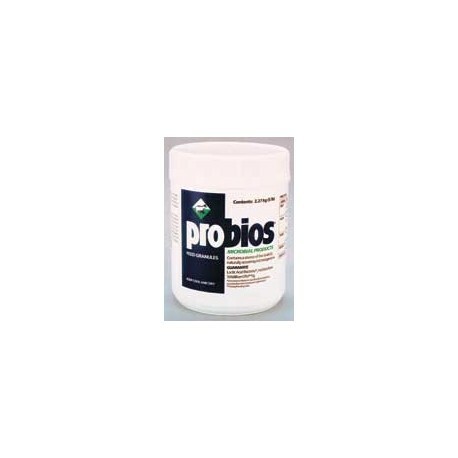 Enterococcus faecium, Lactobacillus acidophilus, Lactobacillus casei, Lactobacillus plantarum 10 Million CFU. A source of live (viable) natural occurring microorganisms. Blend with starter or grower rations of beef cattle/calves according to directions on jar; 10 gms per day to stocker cattle, for example. Dairy cows 1 tsp. a day, adult horses 5 gms a day and swine 5 gms/day. 5gm=1tsp. Administer per label/species directions. FOB charges may apply. 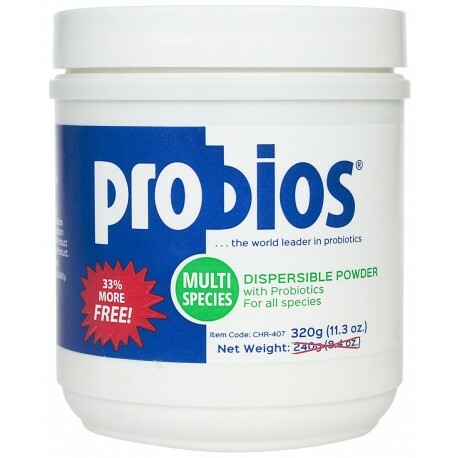 Soluble powder - Aids in solving solubility problems for a variety of water-administered products in swine. Convenient to use for regular maintenance of water lines. Ask about using this product with other medications.